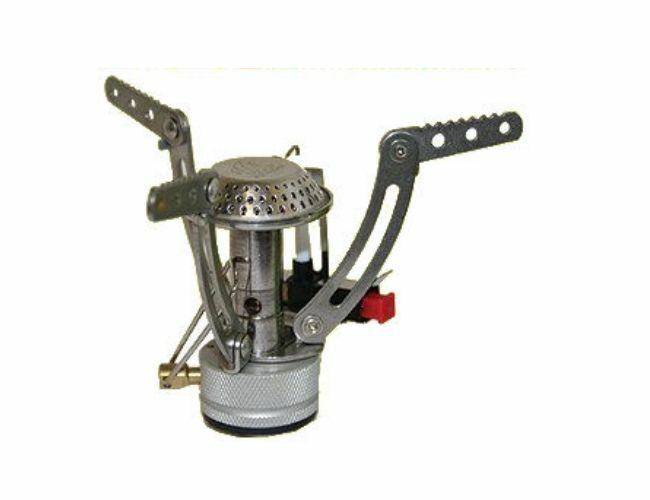 Compact camping stove with ignition button no matches required. This is a very lightweight camping cooker and will boil water in minutes,it has non slip pan supports.It comes in a handy carry box with full instructions. Pan supports fold in for storage.Colours: Metallic,Size: 100 x 100 mm,Size: 95 x 60 mm.Weight:140 g Gas Type: 210 g or 425 g valved.Adjustable gas flow.Transit box.